We ordered one of their package meal Seat A and B, additional ordered 2 asado siopao, 1 order of pork sweet and sour and 3 regular halo halo with one scoop of ice cream. Set A consist of 3 pcs. of chicken, 3 drinks, pancit canton, buchi and chicharon. Set B consist of 6 pcs. 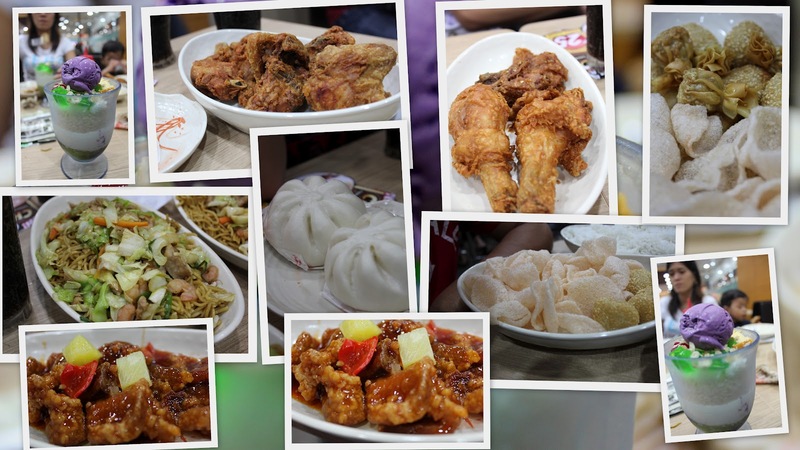 of chicken, 5 drinks, pancit canton, shanghai, dumplings, buchi and chicharon. 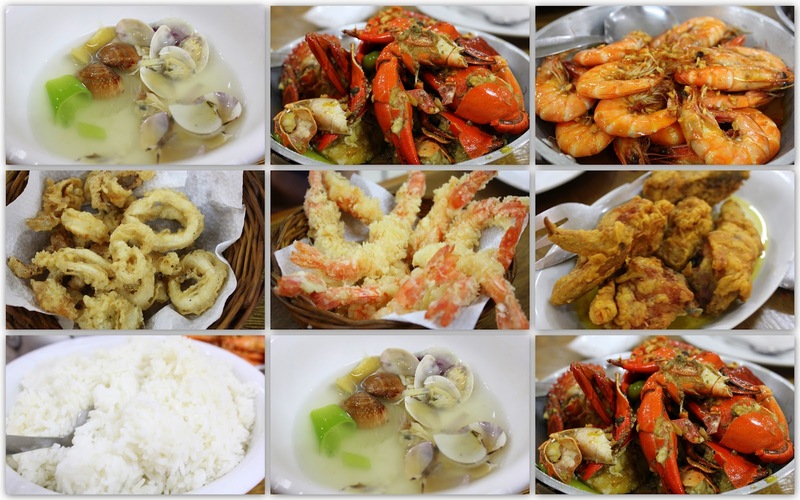 All foods we ordered are good and delicious and I will also recommend this to others it is cheaper and worth it. 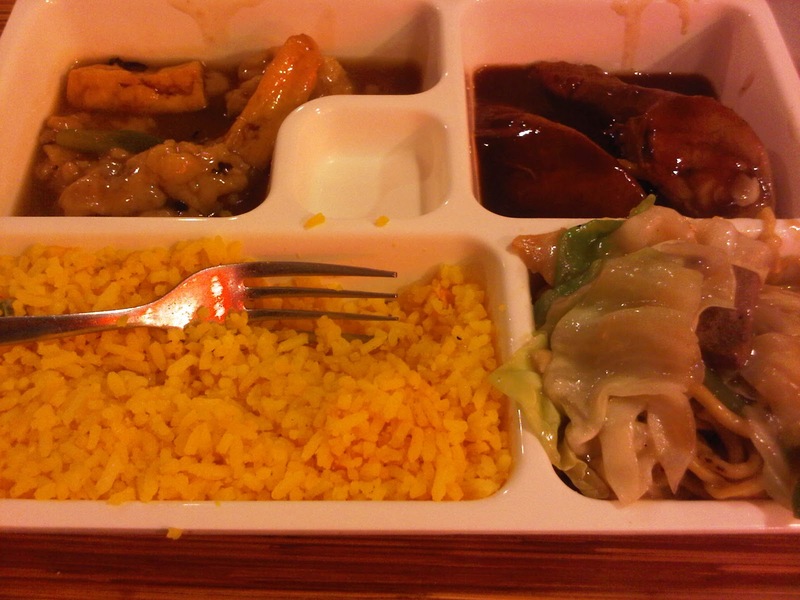 We ordered one of their package meal which cost of 1,999.00 pesos. Consist of 2 family size pizza of your choose, 2 pitcher of drinks either soft drinks or ice tea, 4 sets of chicken wings, 2 sets of salad in a bowl and we added soup, 1 set of hotdog sandwich with cheese (best and recommended). The food are all appetizing and we are all happy. Flaming Hot! 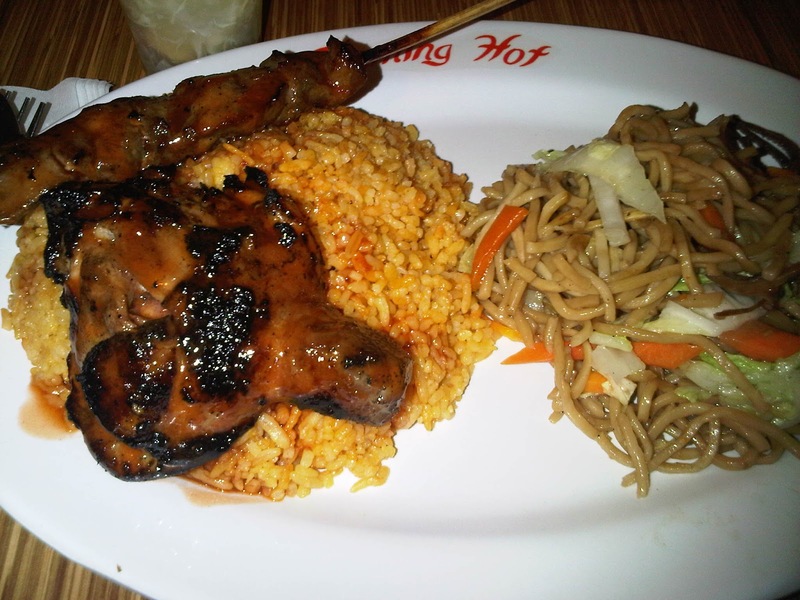 They served Filipino cuisine, I ordered one of their value meal that cost 95 pesos without drinks (Pork Barbecue, Chicken Barbecue with java rice and pancit canton). So, I've added 15 pesos for mineral water and one cup of soup which cost of 11 pesos. I recommended their Pork Barbecue, it tastes good compared to chicken barbecue and i don't like how they cook the chicken barbecue. The pancit canton is just ok and the java rice is not what I've expected still better in Reyes Barbecue. Sisig Hooray! 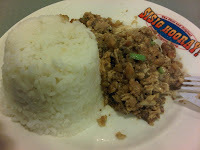 They served 4 kinds of sisig (pork, chicken, bangus and squid). 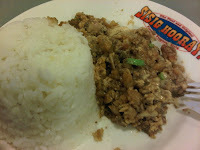 Pork sisig is the best seller. The taste is good but the price is not cheap compare before they first served it to the public. 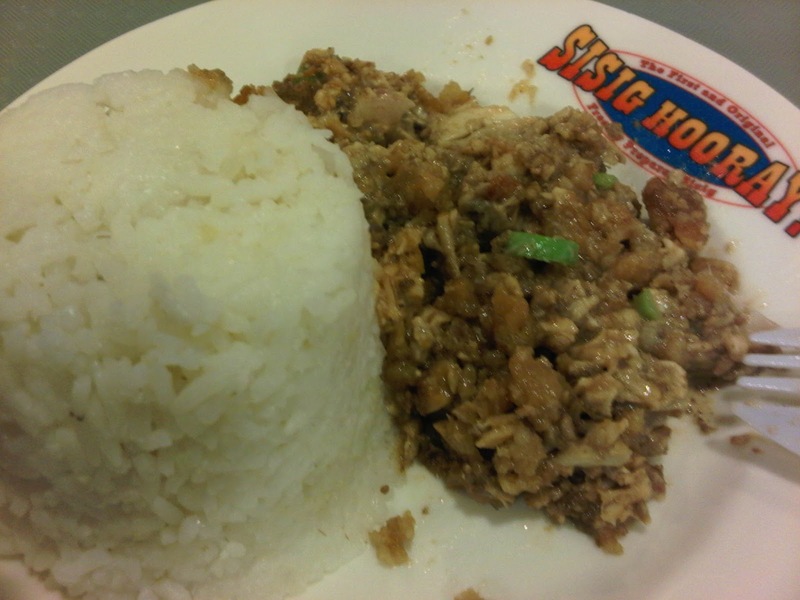 You can buy sisig hooray for 50 pesos only now and maybe because of the popularity they sell it to 75 pesos now. They served food popular from Davao. I ordered one of their value meal, sinigang sa bangus belly (delicious), tuna shanghai (i think it is not a pure tuna because they put some corn starch) and Ice Tea. 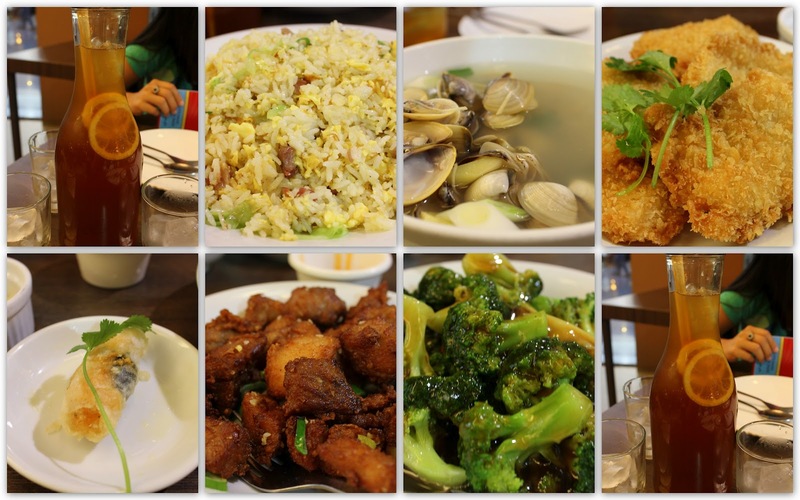 They served a authentic Chinese Cuisine. One of the best seller is their shrimp roll. We like some of the foods we ordered. The one that we think it is not correct from their menu is the Spicy Spareribs, when we tried it, not spicy but they put pepper sprinkles around the spareribs. So if you eat all those pepper it is spicy (hahaha). 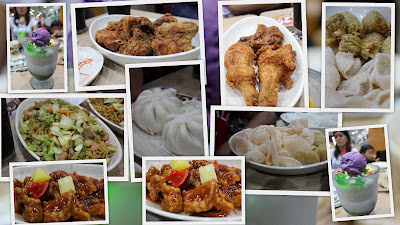 I think and I believed that they cooked the foods differently from other branch of Mann Hann, like in Market Market they served and cooked the food nice and good that's why we always wanted to eat at Mann Hann. 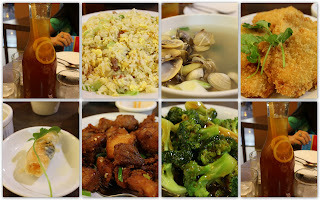 We ordered: Yang Chow Fried Rice, Spicy Spareribs, Shrimp Roll, Broccoli Flower in Oyster Sauce, Clam Soup (Best Soup), Fried Fish Fillet (not really appetizing compare to the other restaurant) and Honey Lemon Tea. 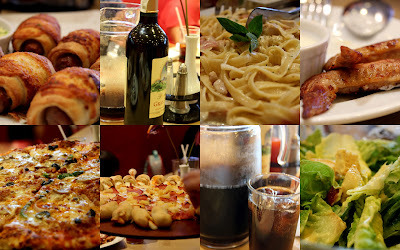 A restaurant that can cook foods that you like or choose based from their menu. If you want it fried, buttered, steam or anything you like. But before they cook if for you, you have to buy the main dish like fish, pork, chicken and others to their mini wet market or just ask them to buy it for you. I like all the foods they cook for us. Will probably go back. 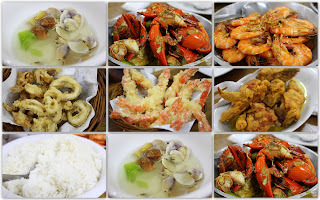 We ordered: Chili and Buttered Crabs, Buttered Shrimp, Calamares, Tempura, Buttered Chicken, Rice and Sinabawan shell (Clam). Best Seller is their burritos and quesadillas. Next time we will try their beers. 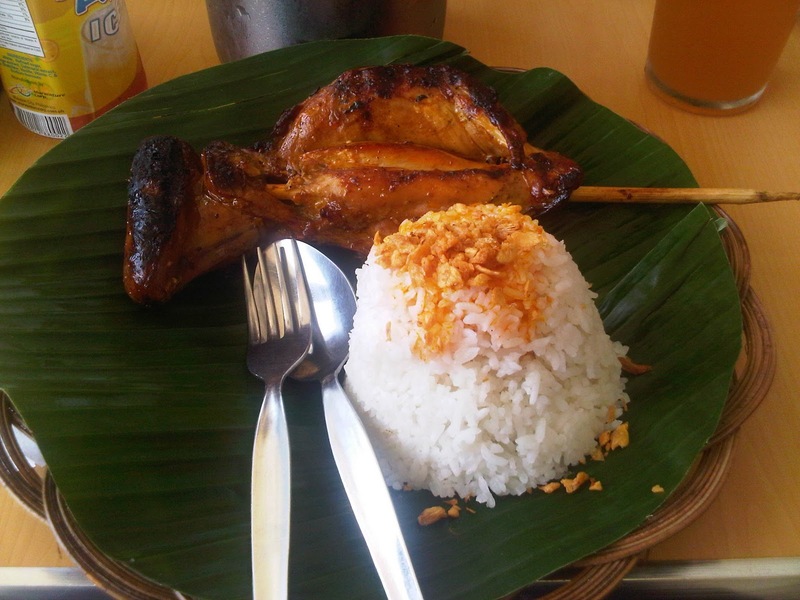 Take Note: It's not like Mang Inasal and Chic - Boy with rice unlimited. Drinks is either is a bottle or can, they don't have their own version of ice tea. The taste is good. They have a value meal like the one in the picture, rice + pancit canton and 2 of your choice viand. I like their Soy Chicken and the rice. 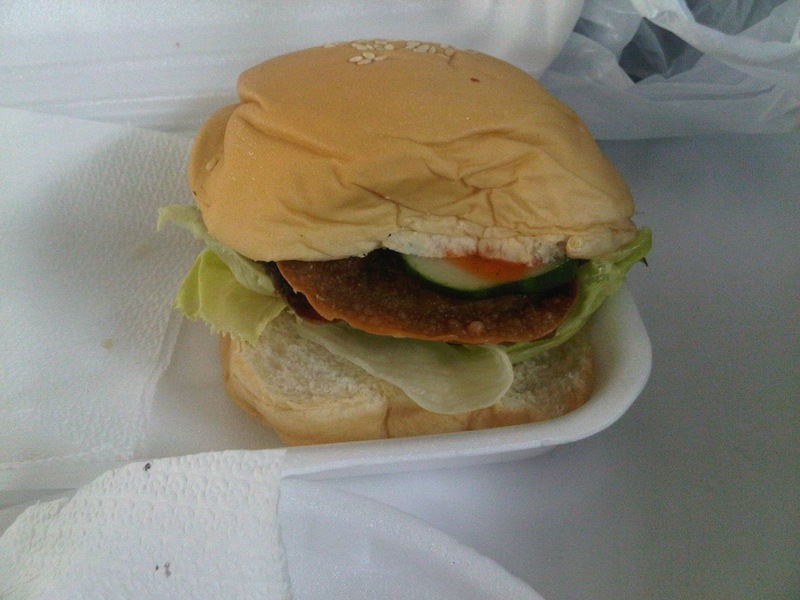 I like the Arroz Caldo and the burger in the picture.